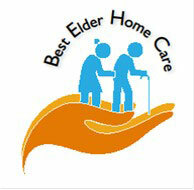 Best Elder Home Care is here to provide you and your family with the home care service, comfort, and peace of mind you deserve. We are 100% committed to providing comprehensive, high quality Elder Home Care services to our patients through coordinated efforts of strong partnerships with families, discharge planners, caregivers and specialized team members. We believe our clients and their families deserve Home Care delivered with compassion, excellence, and reliability. Our services are for Seniors who need Home Care services, care management and help with activities of daily living. Examples include help with bathing, dressing, fixing meals, medication reminders, shopping, errands and escorts. Our caregivers are also trained to help elderly people with Alzheimer’s dementia having memory problems, hospice care. Are committed to providing quality services and to deliver to each client the individualized, compassionate care they need, with the dignity and respect they deserve. • are fully bonded and insured. • are screened, tested and trained. • are provided on going in-service training. • are dedicated, compassionate and committed. BEHC staff are trained to respect and honor the lifestyles and traditional of each client, their families and their loved ones.